LUME is run by two musicians, Cath Roberts and Dee Byrne, making things happen with a focus on the creation of new original/improvised music. Past activities have included concert series and tours, and we also release music from LUME projects on an offshoot record label, Luminous. Read on below for the history of LUME, or head over to the Projects page to find out what we’ve been up to more recently. LUME started life in 2013 as a weekly night that featured artists from across the UK creative music scene and beyond, acting as a space for new work and experimental music-making. A selection of live recordings from LUME gigs can be found on the Live At LUME compilation albums. The gigs took place at various venues, but mostly the now-closed Hundred Crows Rising in Islington followed by Long White Cloud in Hoxton. Alongside the weekly sessions we ran a monthly residency at the Vortex Jazz Club in Dalston from 2014 until 2016, and for our 2015/16 season, we combined the residency with monthly gigs in a variety of spaces around London, including record shops, galleries and bookshops. 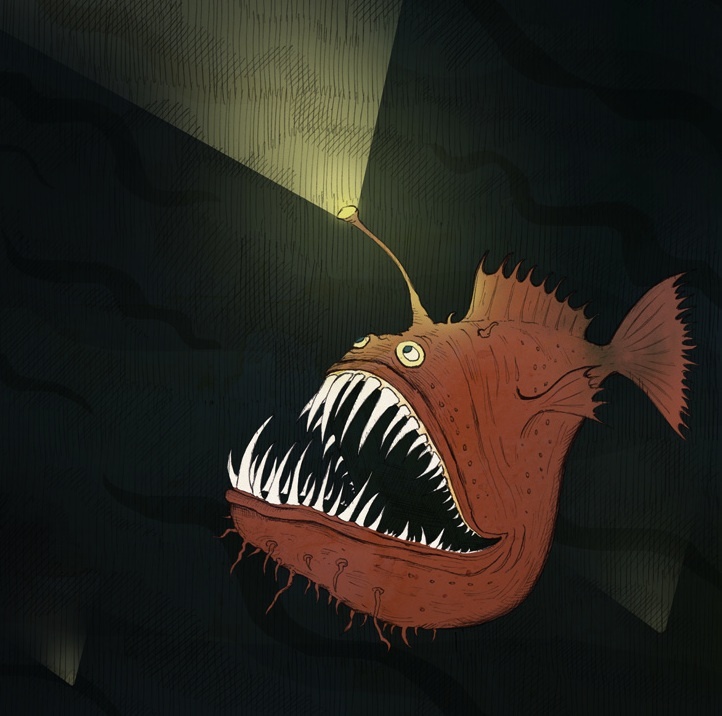 If you’d like to receive a regular email about upcoming LUME activities, fill in the form on the right of this page. You can follow us on Twitter @lumemusiclondon. Alternatively, have a look at our Facebook page. Our email address is hello at lumemusic.co.uk (please note though: we are not accepting artist submissions!). 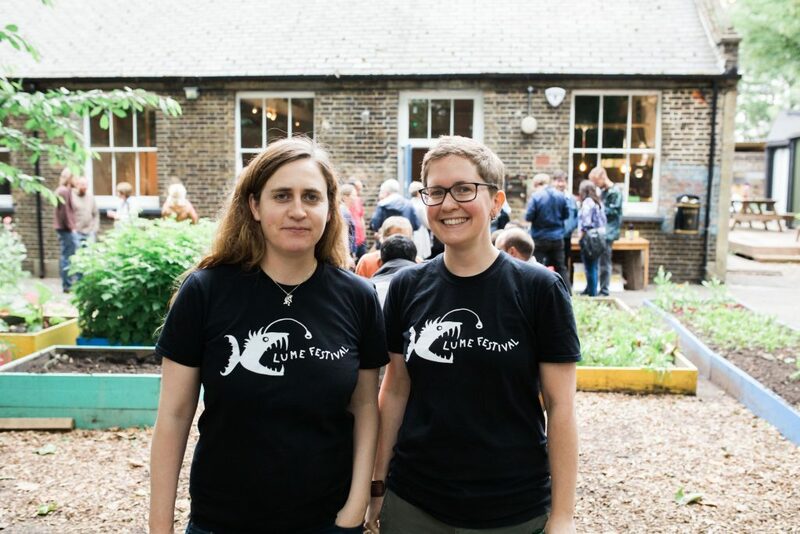 Our current artwork is by Cath Roberts (like the LUME Festival logo on our t shirts in the photo above), and all our artwork from 2013 to late 2015 was by Peter Beatty (like the awesome fish below).